The Eleaf iStick Tria Kit consists of a Eleaf iStick Tria TC Box MOD of max 300W output power and a Ello S tank of optional 2ml and 4ml e-juice capacity. The iStick Tria Kit is powered by three 18650 batteries(not included) and it supports VW/TC(Ni,Ti,SS,TCR-M1,M2,M3) modes. All-new HW3 / HW4 Coil Head gives you the best flavor. 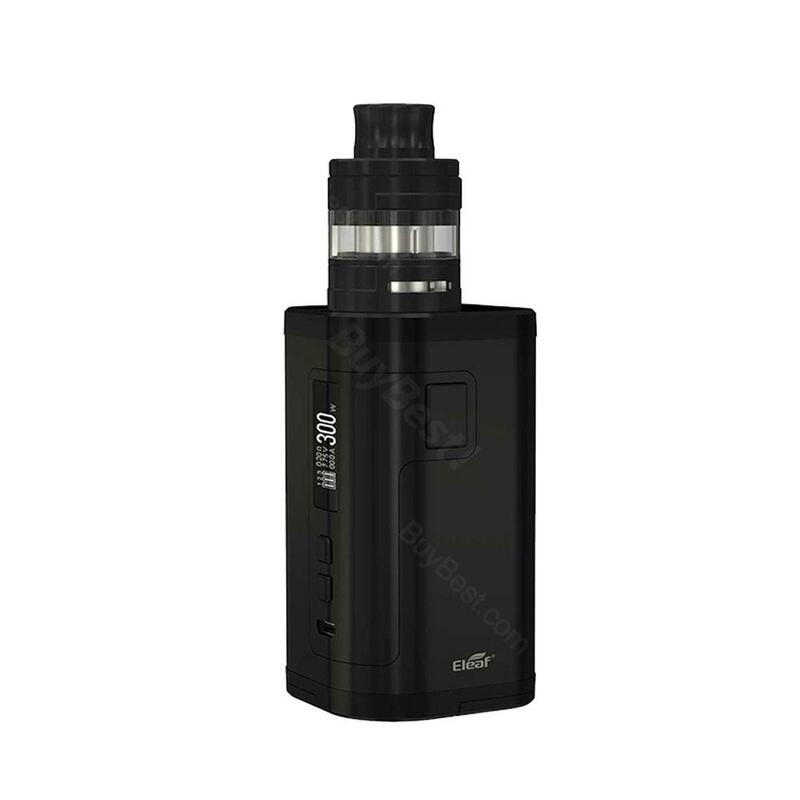 The Eleaf iStick Tria Kit consists of an Eleaf iStick Tria TC Box MOD and an Ello S tank. The Eleaf iStick Tria TC Box MOD is powered by three 18650 batteries, which the batteries are not included and you need to purchase separately. The mod is 510 thread, and the max output power is 300W. The Ello S tank is 25mm diameter of 510 thread, and the e-juice capacity is 2ml, which also can be extended to 4ml. All-new HW3 / HW4 Coil Head and the Ello S is retractable top filling design and bottom airflow system. The Eleaf iStick Tria Kit supports 2A quick charge and VW/TC(Ni, Ti, SS, TCR-M1, M2, M3) modes. You will enjoy a better vaping! • No e-juice or 18650 battery. • Quick link: Replacement HW1/HW2/HW3/HW4 Coils. The Eleaf iStick Tria is a good mod if you are looking for more power than your typical dual 18650 mod can deliver. Die kleinste e Zigaretten in weiß gefällt mir prima. Schnelle lieferung. Eleaf ist chic, schönes handling einfach zu bedienen und sieht wirklich klasse aus.